Special Counsel Robert Mueller’s report vindicated President Trump, but it was far less welcome news for former FBI Director James Comey. White House senior adviser Kellyanne Conway mentioned Comey’s perilous position during an informal news conference outside of the Oval Office, pointing out that Republicans in Congress have a lot of questions related to his role in prompting the start of Mueller’s witch hunt. Senate Judiciary Chairman Lindsey Graham has already said he wants to examine allegations that Comey was “playing politics” as FBI director, calling on Attorney General Barr to appoint a second special counsel to look into Comey’s actions. Graham also wants to know why Comey “did what he did” at the end of the Clinton email investigation in July 2016, referring to the unprecedented news conference in which Comey detailed extensive wrongdoing but declined to charge Clinton with a crime. Following his inexplicable mishandling of the Clinton case, Comey came into possession of a “dossier” filled with unsubstantiated rumors about Donald Trump that was paid for by the Hillary Clinton campaign. Alerted that media outlets had also obtained the Steele dossier, but were reluctant to publish it without a “news hook,” Comey briefed President-elect Trump about portions of the dossier and thereby gave CNN and other outlets the excuse they needed. Do you think James Comey should be held accountable? Comey also leaked FBI records — an arguably illegal act — to ensure, in his own words, that a special counsel would be created to continue the counterintelligence investigation of the Trump campaign. His scheme succeeded in getting Mueller appointed, but it ultimately backfired when Mueller failed to find evidence that the Trump campaign had colluded with Russia in any way. Should there be consequences for his reckless behavior? And who else was involved in the potentially treasonous conspiracy against a sitting U.S. president? Sen. Graham has acknowledged that he doesn’t yet know whether Comey did anything illegal during his disastrous stint as the FBI director, but he vowed to get to the bottom of it. These are questions that need to be answered in the coming months if the U.S. justice system is going to regain the credibility it lost as a result of its reckless harassment of Trump. 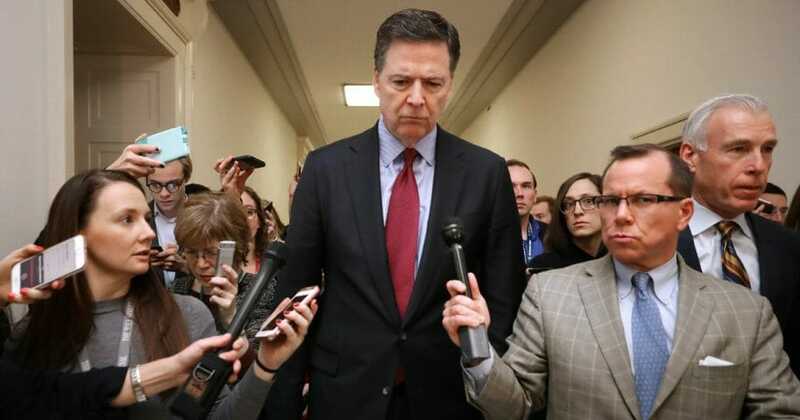 James Comey was a major player, if not the catalyst, in orchestrating the witch hunt, and now that Mueller has cleared the president of wrongdoing, the American people deserve an explanation. Kellyanne Conway is right: Comey should start looking for a lawyer — fast. Joseph DiGenova is an American attorney who served as the United States Attorney for the District of Columbia from 1983 to 1988.